UPDATE 4/11/15 - Added a game to make it the 21 Best Nintendo 3DS Games Released on the Market So Far. The Nintendo 3DS is a beast of a handheld. I don't mean in hardware-- I'm talking solely about its excellent library of games across a myriad of genres. It's without question my favorite platform this generation, and it seems like it's going to take the crown all the way to the conclusion of this era of consoles and handhelds. From Nintendo's sensational first party output to the great games released by third parties, the Nintendo 3DS library is locked and loaded with exquisite titles. This list of my 21 favorite Nintendo 3DS games is only based on physical releases. If I added in digital-only titles, I don't know if I would have been able to keep the list under 30! That is just a testament to how fabulous the 3DS library is. After you've given my list a gander, I'd love to read your thoughts on your favorite Nintendo 3DS titles! Sure, the story doesn't make a lick of sense, but when you have action-packed gameplay so good, who cares! 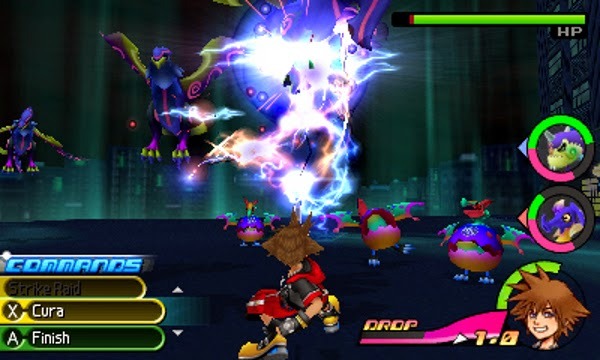 The combat and platforming in Dream Drop Distance was something to behold, allowing Sora and Riku to enter much impressive combos and feats of strength, such as spinning around poles to smack right into foes. The music and visuals are high caliber to go along with the strong gameplay, all making for a Kingdom Hearts adventure worth having. Full of unneeded tutorials, yes, but when they're written with humor, it's not so bad. 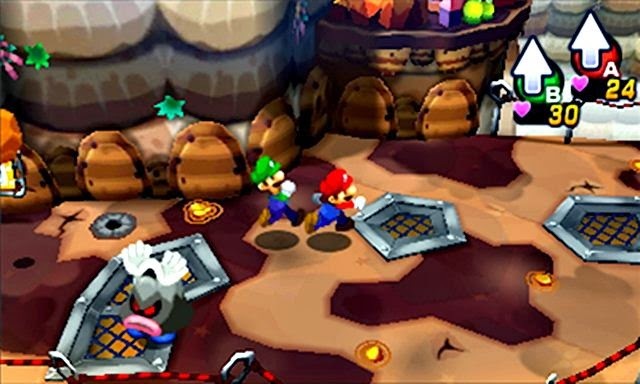 Mario and Luigi's latest quest together brought them from the land of the sleeping to the land of the awake, delivering innovative gameplay, a wealth of intriguing locations, and a humorous story in the process. The timing-based combat featured in past games was as strong as ever, and made each battle engaging instead of a "Mash A to Win" fest that plagues so many other RPGs. 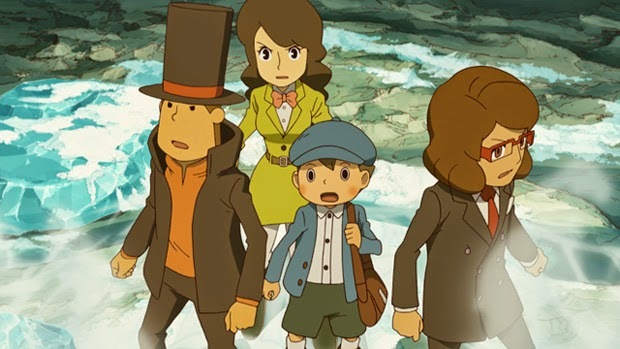 The last chapter in the Professor Layton series as we may as well know it, Professor Layton and the Azran Legacy brought a heartfelt goodbye to the franchise's long-standing characters. The amount and quality of the game's trademark brain teasers and puzzles were superb, the presentation was top-notch, and the added modes allowed for an experience that could go on long after the satisfying ending and accompanying credits were over. 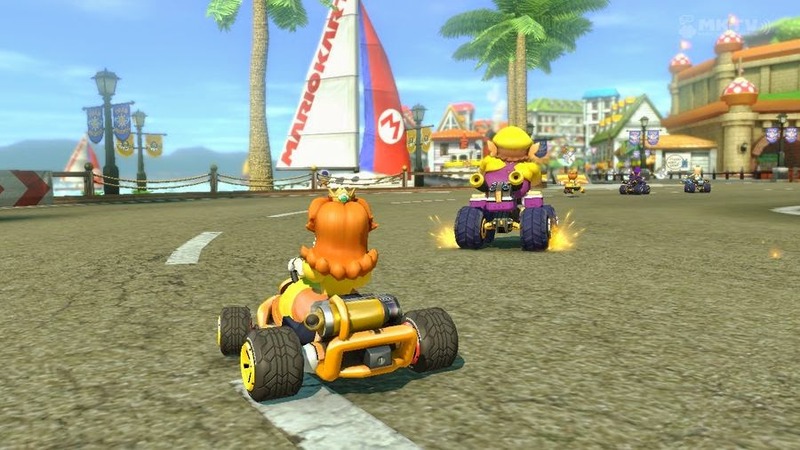 What it lacked in content, Mario Kart 7 made up for with tight racing action, a grand selection of tracks to race on, and cool new kart modifications that made karts speed around by land, by sea, and by air. The process to unlock kart parts was obnoxious, but at the same time there was always something to strive for, whether online or off. Mario Kart 7 is a sound racer that I still play to this day, and the wonderful gameplay, track design, and online all help me do just that. Taking the Triple Deluxe name (3D, get it?) 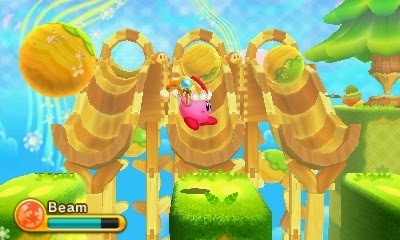 and implementing it to make some highly creative levels, Kirby: Triple Deluxe didn't rework the Kirby formula. In fact, it felt like an offshoot of Return to Dream Land. However, the level design and gameplay in general were both so tight that this didn't matter. 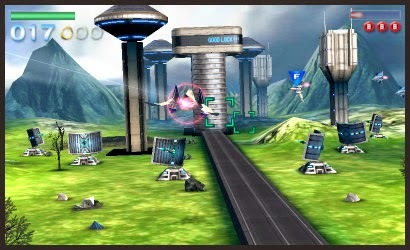 Levels stretched from the foreground to the background, showing off the Nintendo 3DS' 3D abilities to great effect. Four new Kirby powers and a host of content make this Kirby game a must-have for fans of the pink puffball. Many passed on New Super Mario Bros. 2 or relegated it to "just another New Super Mario Bros. game", but for me, the title was a promising look at the future developers within Nintendo. 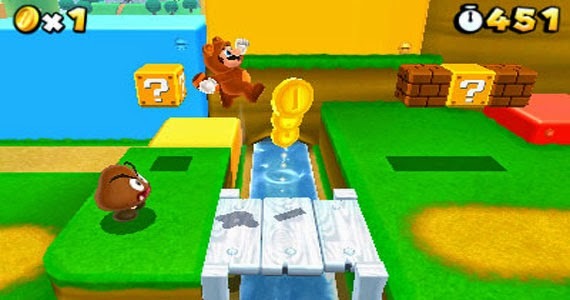 The game's development team was mostly comprised of younger staffers, and these staffers allowed the level design in New Super Mario Bros. 2 to have some very clever and unexpected challenges to it. It's not as surprising or as revolutionary as Super Mario Bros. or Super Mario World were to their respective eras of gaming, but with New Super Mario Bros. 2, it didn't have to be. It was pure, unadulterated platforming fun, and that's all I wanted from the game. It delivered in that regard. What I consider the definitive version of one of the best Donkey Kong Country games, Returns 3D brought with it better controls, eight new levels, and glorious stereoscopic 3D. It also featured an easier mode for those who didn't feel up to the original game's challenge, and boy, was there ever a challenge to be had! 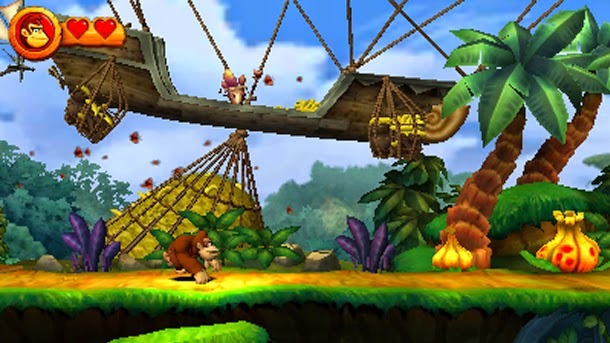 Despite a halved frame-rate when compared to the Wii original, Donkey Kong Country Returns 3D manages to still be fabulous handheld version of a great game. 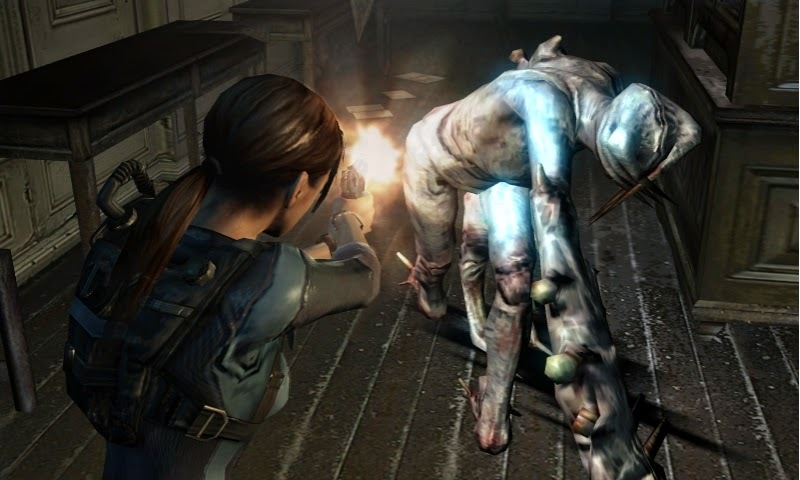 Despite no longer being a Nintendo 3DS exclusive and having console versions readily available now, the Nintendo 3DS original Resident Evil Revelations is still a terror-iffic title that is sort of a compromise between the survival horror of the early Resident Evil games and the focus on action of titles in the series like Resident Evil 4 and on. The story while corny was quite interesting with its episodic structure, cool twists, and fun characters. 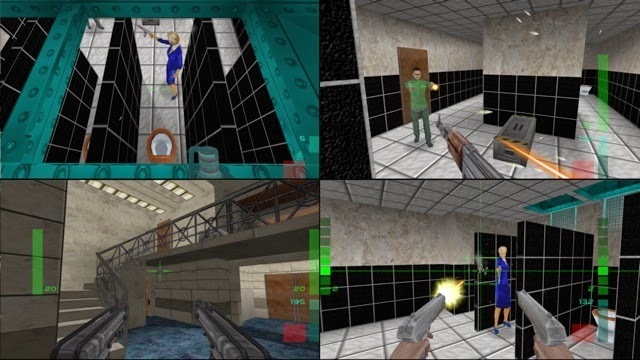 The action was intense, and Raid Mode kept me occupied for hours upon hours. Overall, it's a really good take on the Resident Evil series. I enjoyed the original Luigi's Mansion on the GameCube, but that game was more of a tech demo, a graphical showcase of what the GameCube could do in its early life. 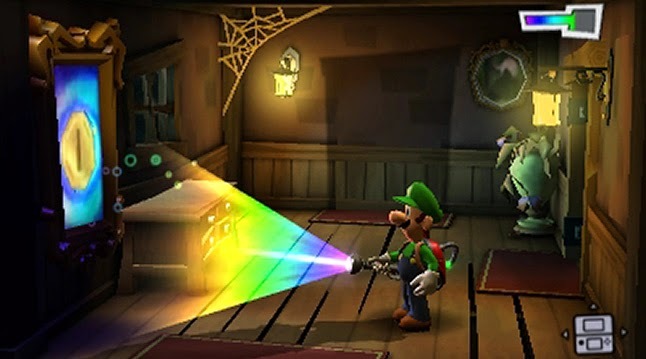 Luigi's Mansion: Dark Moon felt more of an adventure with much more depth, creativity, and content. Exploring not one but a handful of mansions with various traits to them was a lot of fun, and the mission-based structure allowed for different objectives in the same mansions. It all equals a grander adventure than the original, incredibly competent Luigi's Mansion. It shows that Next Level Games certainly is an asset to Nintendo and its fans. I was finally able to complete the goal that my dad had said to me, and I finally got a life. Actually, I got TWELVE of them! To be truthful, my dad never said to get a life, but that wouldn't have allowed me to make that joke. Anyway, while the story is short and a little monotonous, the main draw of Fantasy Life is taking up one of twelve jobs (or Lives) and completing tasks to earn points that allow you to level up your job. A Blacksmith can level up to forge much better weapons and armor. 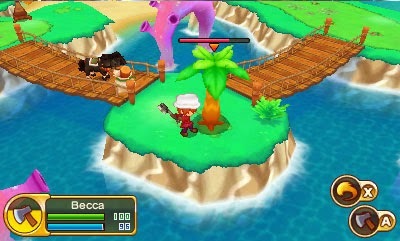 Throw in some terrific action-RPG goodness, and you have Fantasy Life! This wasn't my first Fire Emblem game, but it was the first one I actually completed (or even got close to completing, for that matter). It helped that this edition of Fire Emblem was more inviting and welcoming to players thanks to the totally optional Casual Mode. It made a game that would otherwise be very frustrating and unforgiving much less so for those who wanted to go that direction (e.g. me). The killer presentation, engaging tactical battles, and great gameplay created a Fire Emblem that was fit for all rather than just a smaller niche of people. I shot, blasted, U-turned, and barrel rolled in this remarkable remake of one of the Nintendo 64's greatest hits, Star Fox 64. This 3D version may have had a weaker multiplayer component to it (especially with no online), but the base game was as fantastic as ever, offering multiple paths, high scoring opportunities, and a massive amount of replay value. It says a lot about this N64 classic that I can still come back to it year after year and enjoy shooting down Andross' army. While predictably inferior to its big brother, the Super Smash Bros. series' debut on a portable device was a fantastic one. The game's exclusive Smash Run saw a lot of play time by me, and the new stages included were quite well conceived for the most part. My favorite part of the solo side of Smash is collecting all of those trophies, an addicting prospect that I certainly stood up and took the challenge on. Despite being on weaker hardware, the full Smash Bros. experience was available on the Nintendo 3DS in handheld form, and that is mighty darn impressive. Containing one of the most living, breathing worlds in gaming history, The Legend of Zelda: Majora's Mask 3D was long awaited remake of the now-inferior Nintendo 64 original. Adding helpful tweaks to benefit the gameplay experience to make it a marked improvement over the original, Majora's Mask 3D is the definitive way to play and explore Clock Town and the land of Termina. The lack of dungeons was something I thought I minded, but I found the substitution of venturing in the world and making new discoveries instead of more dungeons to be a highly satisfying one. Seriously though, I don't much care for the new Gyorg battle. 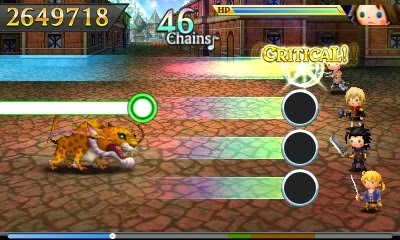 My favorite music game, bar-none, Theatrhythm Final Fantasy: Curtain Call is a Final Fantasy fan's dream come true. Over 200 songs, multiple playable characters, a wealth of unlockable content that opens itself to players on a steady basis, and new modes like Quest and online battles all add up to a rhythm game that pours out content and lovely tunes. It's a great game even if you don't care for the series it represents. 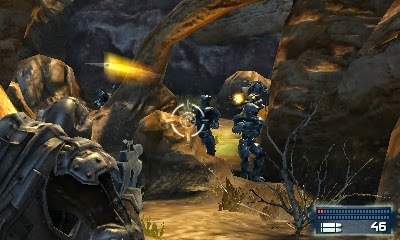 A fair portion of players had trouble adapting to the controls of this game, and moreover some even felt pain while playing it. I wasn't one of those people, so I fully enjoyed the return of Pit and Palutena in Kid Icarus: Uprising. From the game's humor to its excellent fast and fluid combat, to its excellent soundtrack and voice acting, I loved all that Kid Icarus: Uprising had to offer. 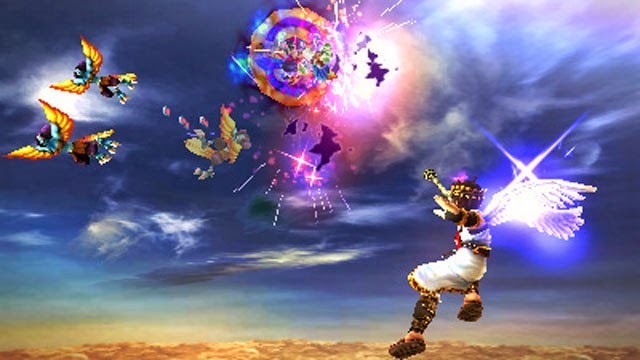 Whether playing online or tackling some of the challenges to unlock content a la Kirby Air Ride, Pit's return to glory was one that I was honored to play. I hope Masahiro Sakurai gets time to another project that isn't Smash-related. An odd choice perhaps, but Mario Golf: World Tour somehow outplayed my favorite golf games, the original Nintendo 64 Mario Golf, Hot Shots Golf Fore!, and We Love Golf! If those aforementioned games were eagles, then World Tour was an albatross. The amount of content, unlockable Mii costumes, brilliantly designed courses, challenges, Castle Club solo mode, characters, online tournaments, online play in general, and DLC were all immense and fantastic. 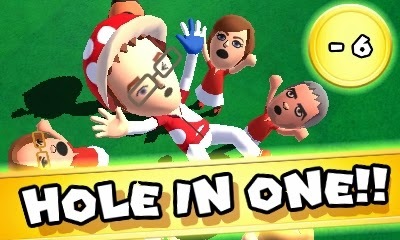 All of that easily makes Mario Golf: World Tour not just my favorite golf game but one of my favorite 3DS titles. My older brother and I have spent a collective total of over 700 hours. We've since stopped playing the game, but that was after a colossal amount of time. The improvements to the Animal Crossing series were apparent and very much welcomed. The amount of customization to your town was phenomenal, and the addictive nature of the Animal Crossing series was quite apparent within New Leaf. 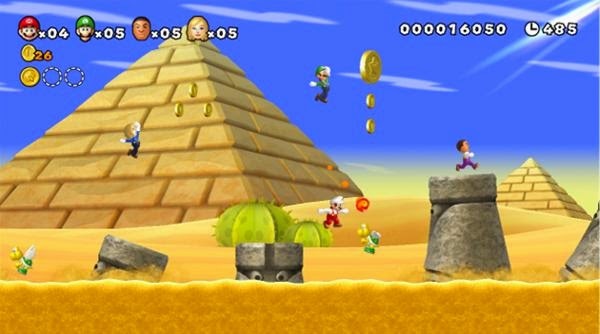 A no nonsense 3D platformer that is a brilliant compromise between 2D and 3D Mario games. Has excellent level design with some truly clever hidden secrets, and the special worlds are enjoyable takes on the previous eight worlds with some unexpected twists. In addition to that, the 3D effect is still one of the most pronounced and helpful on the 3DS. I gave this game a rare 10/10. The game isn't perfect, but a 10/10 meant close to perfection. The wall merging mechanic opened up so many ingenious ideas with the world and dungeon design, the freedom of the game was something I hadn't felt since the original NES Zelda (though not as open), and the game overall emanated polish from every legendary orifice. 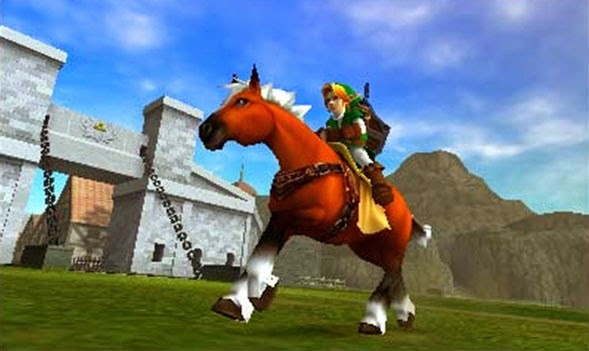 It was a nostalgia trip on A Link to the Past, but it was also its own magnificent beast. My favorite game of all time got even better with the additions of improved visuals, touch screen inventory management (making equipping the Iron Boots less of a hassle), and gyro aiming. Still my favorite Zelda game and still my favorite game of all time. There's nothing more that needs to be said. 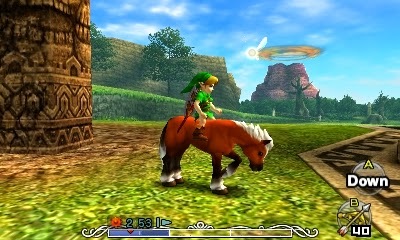 That's just awesome Ocarina of Time 3D is. (and the whole Mushroom Kingdom crew, too). First off, I hope everyone enjoyed my April Fools' prank for SuperPhillip Central this year. In the past, Filbert from Animal Crossing took over the site, a special edition of SuperPhillip Central's Favorite VGMs was had, and several games were given my judgment in the Review Round-Up. Now that April Fools' 2015 is over and done with, let's check out the games SuperPhillip Central covered and reviewed for my multiplayer madness month of reviews last month! Eleven reviews were documented and placed inside my ever-growing SPC Review Archive. As for today, SuperPhillip Central has seen 576 individual reviews! 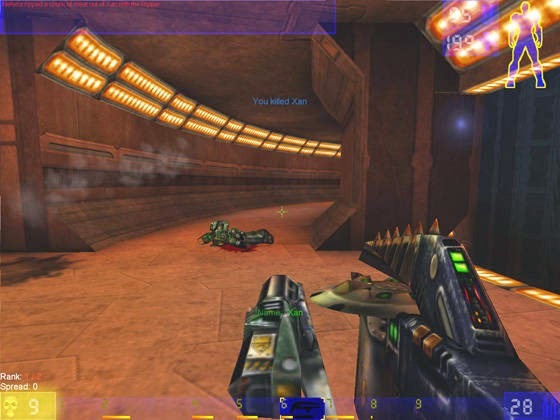 We kicked off this multiplayer-centric review month with the PlayStation 2 version of Unreal Tournament. While enjoyable, this version is the weakest available, getting a B-. Next, on again, off again contributor Bean and I took looks at both the Wii U eShop and 3DS eShop versions of Mario vs. Donkey Kong: Tipping Stars, which received a B- from yours truly. If you're interested in some levels created by me, check them out here. Five more eShop games were reviewed in a row: the 3DS eShop's KAMI (C+), the Wii U eShop's excellent Trine: Enchanted Edition (B+), the disappointing 3DS eShop game Zombie Incident (C-), the brightest eShop game on either Wii U or 3DS with Elliot Quest (A-), and the 3DS eShop's fun and engrossing Adventure Bar Story (B). 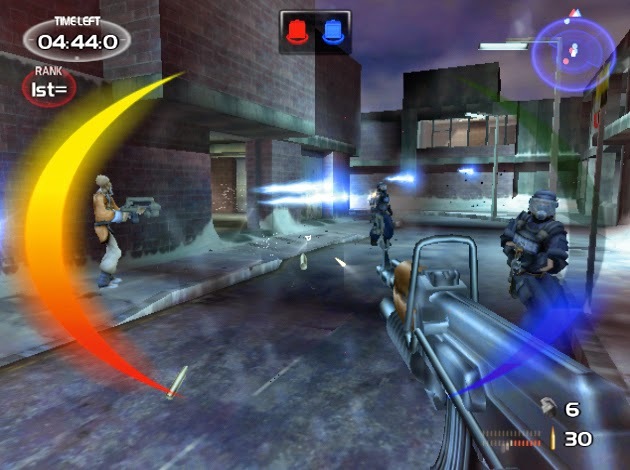 More multiplayer madness was had with TimeSplitters 2, shooting and warping its way to an A-; Mario Party 10, which partied hard to a respectable C+; XIII, which was a heavily stylized cel-shaded shooter that got a B-; and finally, to cap off the month with a disappointing game, IronFall: Invasion, which proved that imitation is the sincerest form of flattery, but flattery will only get you so far. The game received a less than fantastic D+. With that, March 2015's month of multiplayer madness reviews has come to a close! While I'm disappointed that we didn't get to see a glimpse at all eight new tracks at today's Nintendo Direct, what I am satisfied with seeing is this heavy look at the currently untitled Animal Crossing course for Mario Kart 8. It has everything you'd expect from an Animal Crossing track, including villagers, townspeople, Mr. Resetti, locales like the post office, Able Sisters, and museum, and a season that changes each time the track is played. You can download the Mario Kart 8 DLC Pack 2 on April 23. Mentioned as the last surprise in today's Nintendo Direct, the Mario Kart series is getting faster than ever before with Mario Kart 8's 200cc! 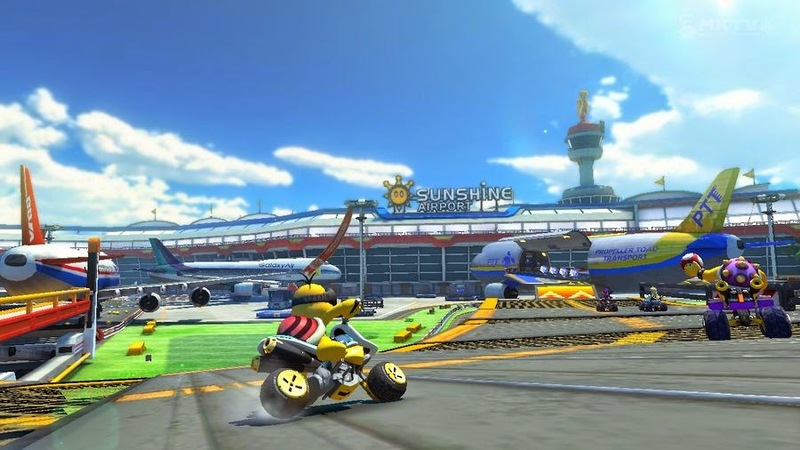 The free update to Mario Kart 8 races onto the Wii U on April 23. Today is a special day for SuperPhillip Central. This is the first ever preview of an unreleased game that I have the opportunity to talk about. It's Bubsy 3D, and like previous games in the series, it's truly something special. However, I only got to play the first level, despite the demo being a near-final build. Here are my impressions of Bubsy 3D. I recently went to San Francisco press event where select members of the media got to try out a near-final build of Bubsy 3D, one of the most anticipated games in recent memory. The event took place in a dark warehouse where there was the smell of iron and passed out prostitutes on the floor, drowning in their own waste. 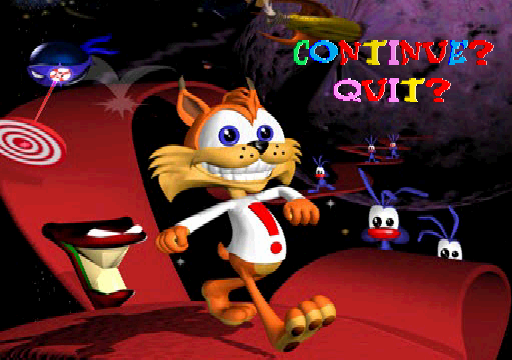 It created an ambiance that clashed with the cute, cartoon visuals and appearance of Bubsy 3D. Something tells me that that was intentional, as Bubsy 3D itself is a testament to video games being art. It seems to me that the statement the event holder was saying was that even in the darkest, most depressing of areas, happiness (Bubsy 3D in this case) can prosper. And boy, did it prosper with my time with the demo! So far, in the near-final build I played, Bubsy as an avatar controls incredibly tightly. 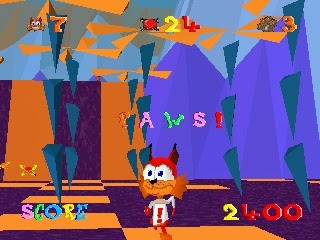 Bubsy can turn on a dime, move in a seemingly unlimited amount of directions, and can even jump! The latter helps in reaching higher areas and platforms that Busby otherwise wouldn't be able to reach. wondering what's over that hill, even after getting over it! While other games are just platformers in name, Bubsy takes it literally, and that is such a breath of fresh air. 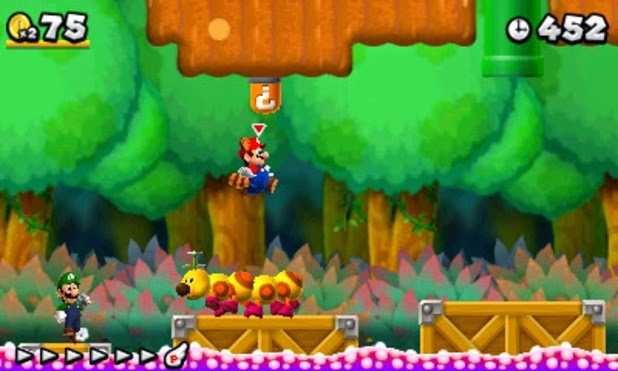 Floating in the air are actual platforms. 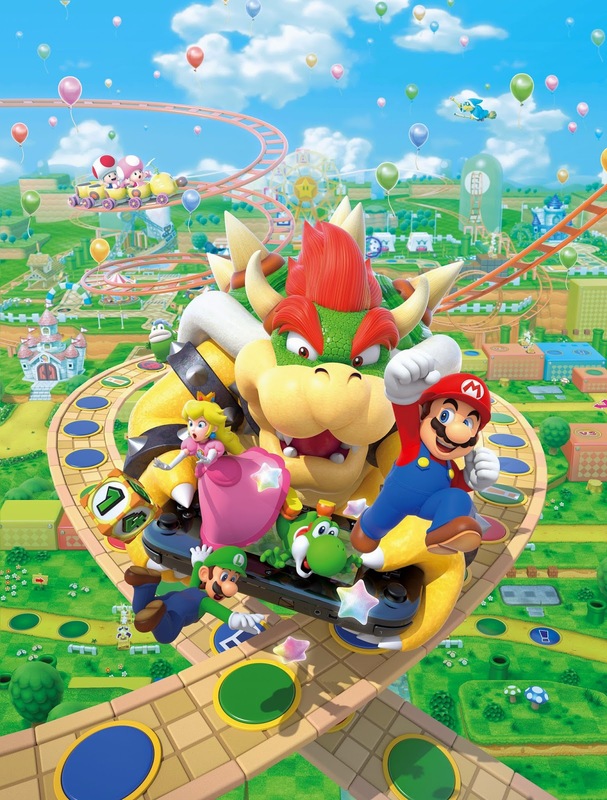 Yes, this isn't a game like Super Mario 64 which tries to hide that it's a platformer by creating a realistic world. No, Bubsy 3D is proud to be a platformer, and I can't thank the developers enough for this change of pace. Bubsy's back, and this time it's personal! Bubsy 3D further sets itself apart with its visuals and art design, which are top notch indeed. 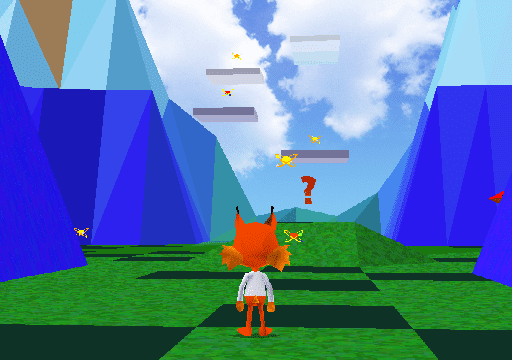 Bubsy 3D goes for a very minimalist approach, and this is no doubt an ode to an artistic sentiment that less is more. Textures are simple, featuring a checkerboard pattern, and geometry is very basic. This all adds to a visual identity that is wholly original and easy on the eyes. in the ingenious line of development decisions in Bubsy 3D. The sound effects exude with a combination of realism and cartoon aesthetics. I giggled every time Bubsy made a sound when he jumped and while listening to the super catchy music. Bubsy 3D is a wholly interactive animated cartoon, and the presentation is especially to thank for that. Continue or quit? Do you even have to ask!? 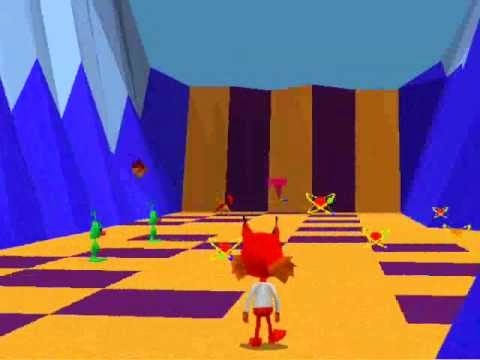 Unfortunately, my time with Bubsy 3D was cut off short due to the sounds of police sirens in the distance, and the event holders yelling for everyone to get out while they quickly took all of the demo machines apart. 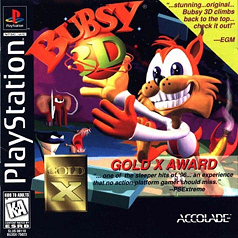 However, I think I'm not using hyperbole here when I say that Bubsy 3D is going to be something that players will not forget, and it will have an infamous mark on gaming history. You can quote me on that. Please do, actually, because it'd be awesome for one of my quotes to be on the game box. To cap off SuperPhillip Central's month of multiplayer madness, I have the first in a new series of articles based on my favorite multiplayer games, whether online or off (mostly off since that's what I'm accustomed to). Whether nailing an opponent with a red shell to make that last second come-from-behind victory in Mario Kart or making an opposing player eat lead in an arena shooter, these are my most beloved multiplayer experiences. After you've seen my picks, let me know what games you personally enjoy the multiplayer modes of most! These first two games on my list of favorite multiplayer games will most likely be mentioned during April 1st's (no April Fools there-- honest!) Nintendo Direct. The first is Super Smash Bros. for Wii U, which is set to get a new Miiverse stage and new Mewtwo character soon. Even without that, the content for mulitplayer gamers is astronomical. Maybe that's hyperbole, but not by much! There is just so much to do with friends and family, hopping online to take someone from across the country down a notch, playing together in Classic or All-Star modes-- once unheard of in the series, and battling across one of around 30 stages with over 40 fighters! There is no question why my family's Wii U still regularly houses our Smash Bros. disc, and it's not because the system lacks good games-- that much is for sure! There are but three absolutes in this life: death, taxes, and an increase in people playing online in Mario Kart 8 when downloadable content is made live. The second batch of DLC for Mario Kart 8 is due out next month, so I wouldn't be surprised to hear some words about it at tomorrow's Nintendo Direct. If you don't ever bother to download the new tracks and characters, you're still getting your money's worth, online or off. For the first time in a Mario Kart game since Double Dash!! 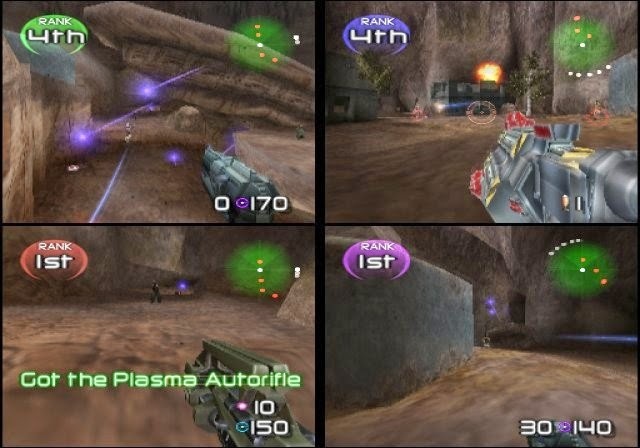 on the GameCube, multiple players can vie for the top spot in a Grand Prix. Versus and online modes offer even more Mario Kart madness. No wonder Mario Kart 8 continues to be played in the SuperPhillip household to this day. It's just plain crazy fun! 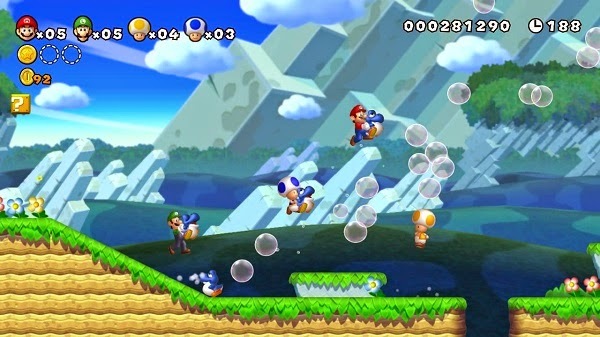 One of two big launch titles from Nintendo for the Wii U was New Super Mario Bros. U. While a game like that with a modest presentation doesn't scream "the new generation", the gameplay remains as accessible and well designed as 2D Mario games of the past. Yes, I even mean beloved (and rightfully so) classics like Super Mario Bros. 3 and Super Mario World. 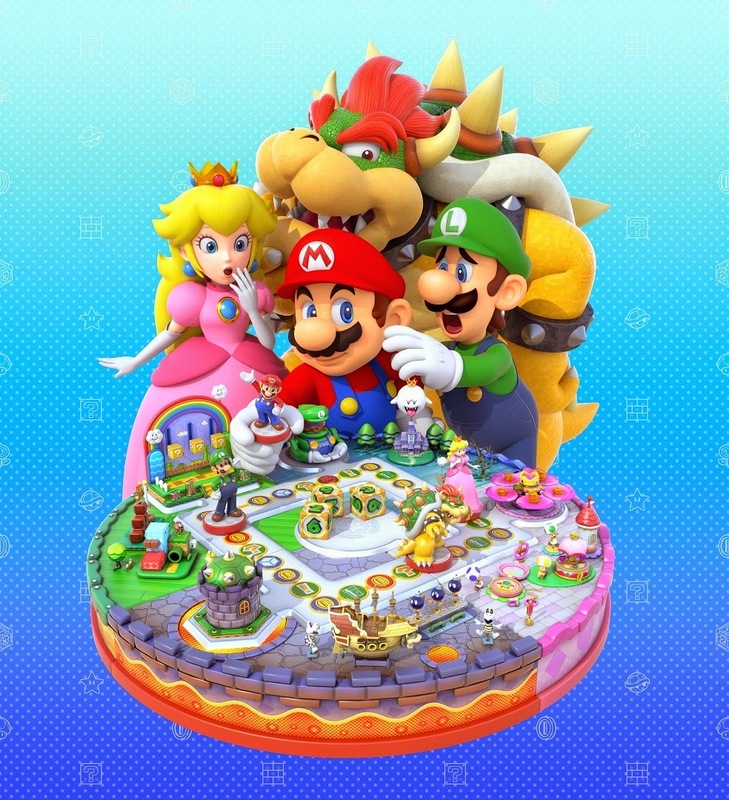 Although four players is absolute mayhem-- and depending on your mood and game desires, that can be a good or bad thing-- playing through New Super Mario Bros. U with my brother made it that two skilled players were having fun helping one another out and having a sensational platforming adventure together. And oh, what an adventure it was! The quintessential first-person shooter in my book, Perfect Dark is indeed forever, as the ending credits do say. The game's multiplayer mode offers SO much customization, from the multitude of bot types and personalities (e.g. ones that go after the player in first place, suicidal bots, bots that only attack with their fists, etc.) to the myriad of expansive maps with plenty of choke points, hidden nooks and crannies, and places to battle it out. You can choose what weapons spawn on maps, what music is played, and so much more, and you can save your favorite scenarios for future multiplayer sessions. Literally hundreds of hours have been spent with Perfect Dark's multiplayer, and I haven't even touched the Xbox Live Arcade version. 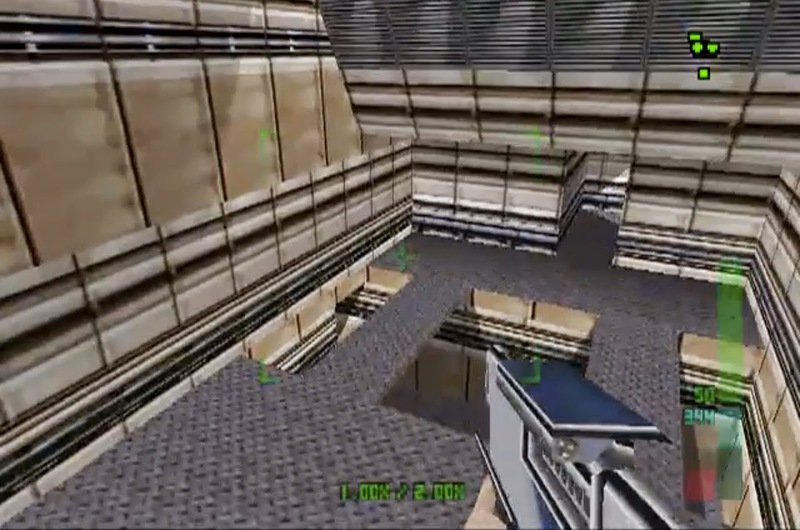 The successor to Perfect Dark's throne, TimeSplitters 2 was made by Free Radical Design, made up of many team members who designed GoldenEye 007 and Perfect Dark. It only makes sense, then, that TimeSplitters 2 made me, an migrant from Perfect Dark, feel right at home. 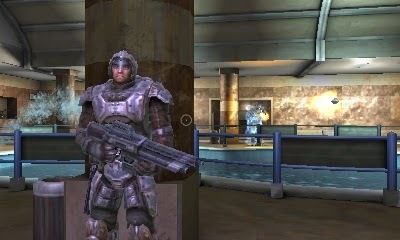 Through completing missions in the Arcade League, you can unlock new characters, modes (of which there any many), and arenas in the full multiplayer piece of TimeSplitters 2. My brother and I found a lot of joy in blowing and blasting bots away in the multiplayer, and then hopping into the cooperative campaign to save each others' hides-- or at least having one of us (usually my brother) being bullet bait. While not exactly as near the magnificence of Perfect Dark's multiplayer, TimeSplitters 2 delivers plenty of similar feelings to that game. 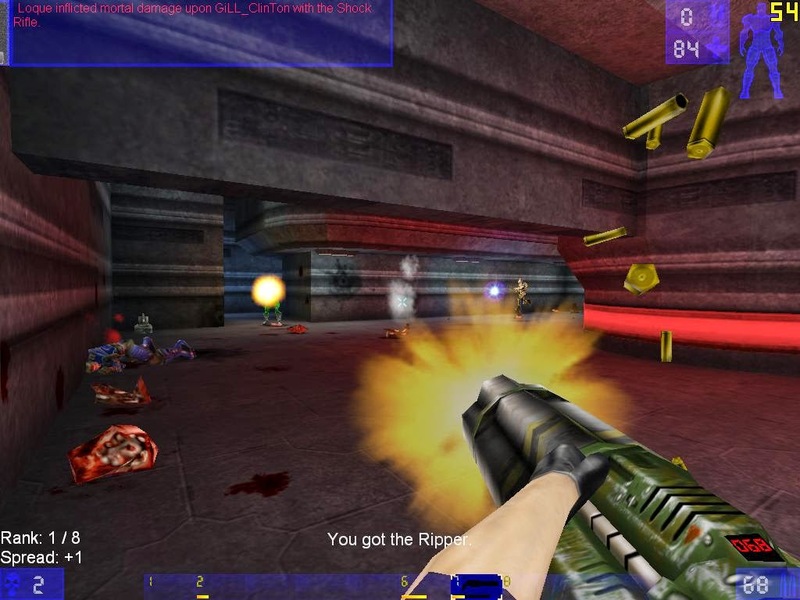 While the gaming world knew of Unreal Tournament's excellence over a decade and a half ago, I am relatively new to the world of frags and bags. Containing four wonderful multiplayer modes that each possess their own set of well crafted maps and arenas, Unreal Tournament is a blast to play even to this day. There are a plethora of reasons players keep coming back to UT, and just a sample of those include fast and frenetic action, great guns that give highly satisfying kills, and insanely smart AI to help train newbies like myself to be good enough to battle it out online against human intelligence (or in my case, lack thereof). 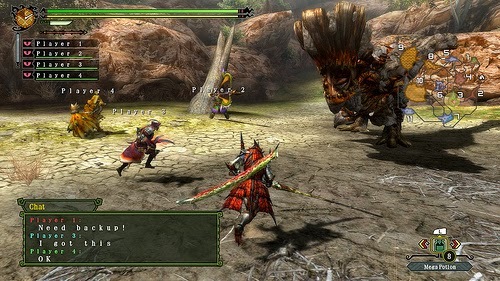 This next game may be old news thanks to the release of Monster Hunter 4 Ultimate on the Nintendo 3DS, but some of my favorite online multiplayer memories (Wii U version owner here) come from playing with a group of three other hunters and attempting to take down some ferocious beast. It is still fun to lose and suffer defeat, but it's even more delicious to pull out an unexpected victory. The stress and excitement levels are intensified thanks to a lack of a health meter for monsters. All you are helped notified by are different stances by the killer creatures and possibly broken off pieces from said behemoths. 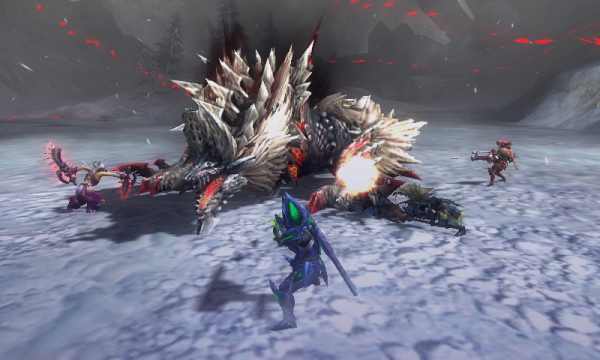 Monster Hunter 3 Ultimate is the type of a game where the multiplayer is so good that you don't mind fighting against the same foes dozens of times just to get that last desired material to complete your armor set. Before the servers were taken offline (RIP), Resistance 2's multiplayer received a lot of playtime by yours truly. 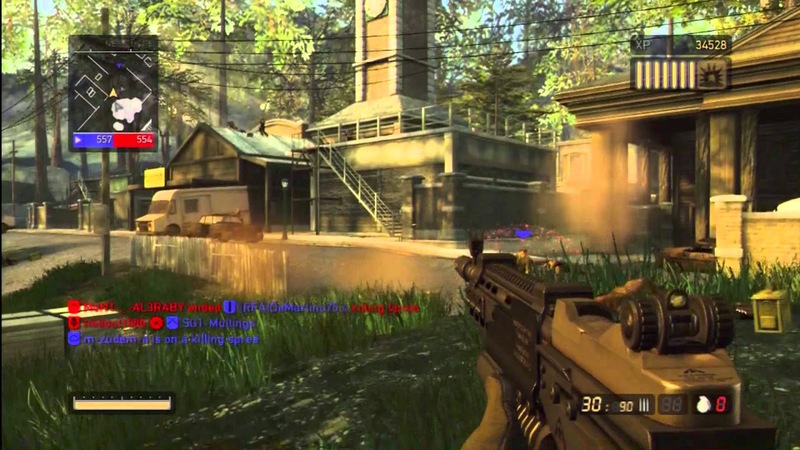 While the massive multiplayer deathmatch and team deathmatch modes allowed for a multitude of players to rush across maps, fragging others, the real enjoyment from Resistance 2's multiplayer was in its cooperative modes, spread out across multiple maps. Each had several objectives for players to take care of and complete together, three different character archetypes like offensive and medic, and insane open-ended missions to play through. Sadly, Sony doesn't have infinite money, so the servers were taken offline, an unfortunate casualty of the online multiplayer machine. The final review of this month of multiplayer madness is IronFall: Invasion. It's never fun to end a month of reviews on a sour note, but sometimes it has to be done. Here's my review of highly competent indie developer VD-Dev's first Nintendo 3DS game. It's easy to see the inspiration, but hard to actually recommend. VD-Dev is a lot like developer Shin'en Multimedia. They both develop games that play to the strengths of the hardware they work on while creating some graphically masterful games. Whether they're actually fun to play is in the eye of the beholder, but they're usually of entertaining quality. Unfortunately, VD-Dev's first project for the Nintendo 3DS, IronFall: Invasion, is not one of these, as much as it pains me to say, especially when the team is but a trio or so of people. It's great to support indie efforts like IronFall: Invasion, but sadly, as you'll see with this review, the actual game is but a shadow of something compelling. To say that VD-Dev wasn't completely inspired by Epic Games' Gears of War when they built IronFall: Invasion would be a massive lie. IronFall has all of the mechanics of Gears of War save for the clever level design, appealing gameplay and engaging story. Instead, you get very generic characters with zero development, robotic enemies that aren't satisfying to kill, and voice acting that is average, save for the female character who is a special level of awful. Even when her life is on the line, she speaks so uncomfortably that it's painful to listen to. of blood like Gears of War has. Wow. How twisted of me! 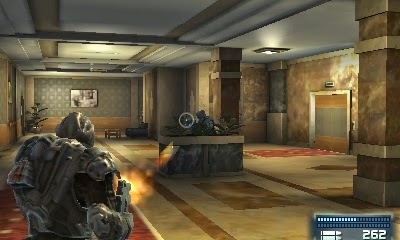 Other influences to Gears of War consist of waist-high cover that is conveniently placed around levels which you can hide behind while occasionally popping out of to take potshots at enemies, bulky characters, and yes, even the active reload mechanic from Gears. This has you reloading your weapon and timing your button press so the arrow stops in the green section of the meter, giving you more shots than you otherwise would have in your active round. 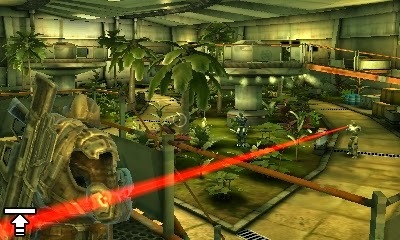 It's a botanical blowout as Jim takes on these robotic foes! While the campaign itself is nothing at all stellar and compelling, VD-Dev has created an interesting approach to how potential players can get the full IronFall experience. The game itself is free, but only the first campaign mission (which again, is nothing too exciting, so it may as well put off potential buyers) and one map in multiplayer is available for both local and online play. Buyers can purchase either the solo campaign or multiplayer for $10, or by purchasing both simultaneously for $20, they can unlock a special jukebox. It's an intriguing setup that allows people to play IronFall before making the decision to possibly purchase the full game. However, as the full game isn't too different from the basic demo, it's doesn't really behoove you to pay for the whole base game. an innocent "your momma's so fat" joke? Ridiculous! As said, multiplayer can be played for free locally or online, but there is but one map to play on. The multiplayer is serviceable enough, having the winner earn experience that goes to earning higher ranks. You can even bet experience prior to a match to make it so there's even more on the line. With the paid version of multiplayer, there are around five more maps to choose from, but you're better off just forgetting about picking the map you like best and instead let the game pick a map. Otherwise you'll be waiting quite a long time for someone to be paired in the same with room, as the amount of players online who have also paid for the full version is conceivably quite low based off of how difficult it was to find people to fight against or with online. That said, IronFall: Invasion doesn't suffer when it comes from its controls. There are multiple options for play, and the majority of them perform great. New 3DS XL owners can use the right nub to aim, whereas regular 3DS owners can opt to either use the Circle Pad Pro attachment or use my personal favorite control scheme, the Circle Pad for movement and the touch screen for aiming. It requires some tinkering with the sensitivity options, but once you get them to their optimal setting, aiming, turning, and looking around by sliding the stylus on the touch screen feels fantastic. but you can absolutely not knock the impressive visuals. IronFall: Invasion is no slouch in its visuals, and that's a severe understatement. 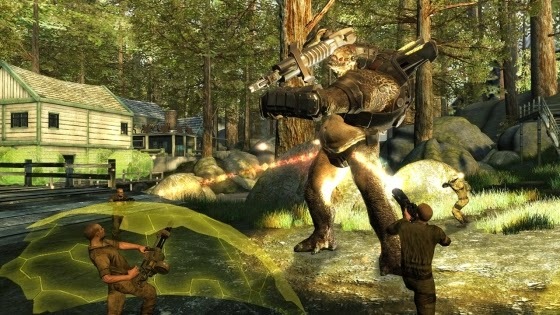 The game's graphics feature heavily impressive geometry, amazing stereoscopic 3D visuals, and otherwise a fluid 60 frames-per-second frame-rate. It all adds up for an immensely engrossing visual experience that really puts the 3DS hardware through its paces. Those of us following VD-Dev's history with their games know just how magnificently the developer plays to its strengths of making the most out of the hardware they work on, and IronFall: Invasion is indeed another brilliant example of that. Get behind cover to more quickly regain health. However, beauty is only skin deep when it comes to IronFall: Invasion, and this game is an unfortunate poster child of that. While the gameplay mechanics are sound, the actual game itself is just so uninspired. If you'll pardon the metaphor, IronFall: Invasion is like a hollow shell of a truly competent and fun game but lacking the soul required to make it something really special. 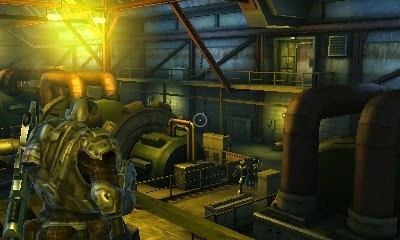 As it stands, if you're really yearning for a third-person shooter on the Nintendo 3DS where there otherwise aren't any, try out the demo for IronFall: Invasion, and if you like it enough, then you'll most likely enjoy the full version. For everyone else, IronFall is an easy game to pass on. Review copy provided by VD-Dev.